This is piece of work that I produced last summer for Schools. It involved a fair amount of research and "meditation" on the various directives about homosexuality published by the Church of England and the RC Church. This paper should highlight the pioneering character of this ministry. 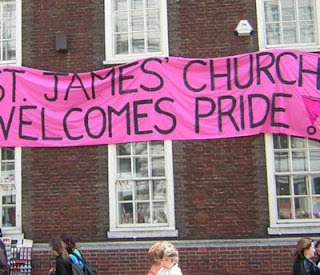 I wanted to publish this essay for a while, but I was prompted to do so now as the LGBT Christian community has started rallying for the Rev Jeffrey John to be appointed as the new Bishop of Southwark. The purpose of this paper is to explore the ministry of the Church within the LGBT community of London. The first part of this essay will consider the development of homosexual culture in Britain and consecutively the Church's various responses to the gay people leading up to Lambeth 1998 and the publication of Some Issues on Human Sexuality in 2003. It is important to view the experience of Christian communities in a correct prospective. Therefore two chapters have been added before the various study case concerning the Evangelical and the Roman Catholic experience of ministry. The conclusion will support the ministry of the parishes taken in consideration; however its theological suggestions will be drawn from all the material presented in this paper. In recent years homosexual individuals have been grouped under the acronym LGBT – Lesbian, Gay, Bisexual and Transgender. This collective expression should better describe a section of the population whose sexual orientation is other than heterosexual. In reality this expression is used more generally in relation to projects working for the rights and welfare of homosexual people. [cf. Ibid. 104] compares gay people to Gypsies because like them they share important common factors with the surrounding society and yet they seek to maintain a diverse identity. However, the gay community possesses characters that transcend the realities of ethnic minorities as gay people are present in every social setting, country and walk of life. The LGBT community's self-understanding is extremely important at a time when both medical science and religion are struggling to define the origins and the social implications of homosexuality. However, it seems that a small minority of scholarly publications on this theme have fully engaged with what gay people can say about themselves. Homosexuality by Elizabeth Moberly and Holiness & Sexuality edited by David Peterson are two examples of publications about non-heterosexual identity examined without proper engagement with the LGBT community. Besides, further sociological studies ought to take closely in consideration the sense of kinship experienced within the LGBT community. It would be helpful to understand whether the gay community behaves similarly to other minority groups or more like a 'dysfunctional family' which gathers together for joyful occasions – such as Pride – for carol services and more importantly, for funerals. The Government has tried to quantify the gay community in Britain prior the recent Civil Partnerships Act. The Observer published the Government's figures in December 2005. 3.6 million is the estimated population and its biggest concentration is found in London [cf.Dennis Campbell, "3.6m people in Britain are gay – official", The Observer, 11th Dec 2005]. Over the last forty years the Church had to come to terms with changes in society regarding gay people. Perhaps unsurprisingly it has influenced Parliament and it has alternated periods of liberalism with stages of pronounced conservatism. It is arguable that the work towards the depenalization of homosexual offences was set in motion with the help of the established Church. In 1954 the Moral Welfare Council of the Church of England produced an interim report (The Problem of Homosexuality) advocating a revision of the punitive measures then in place [The Problem of Homosexuality is a title common to both this and the 1986 Roman Catholic documents. The title seems to be used in a pejorative sense as it introduces homosexuality as a new difficulty to be overcome rather than a phenomenon which is part of the society as well a nature]. Later in the same year the Bishop of Southwell reiterated the concerns of the report in a debate of the House of Lords [cf. Peter Coleman (1989) 118ss]. This debate led to the formation of the Wolfenden Committee and proved itself to be a gigantic Pandora's Box for the Church of England. Since the Report of the Departmental Committee on Homosexual Offences and Prostitution (Wolfenden Report) in 1957 Britain has been confronted at various times with issues concerning homosexuality. Indeed, the recommendations expressed by Lord Wolfenden's committee were only implemented ten years later with the legalization of homosexual acts between consenting adults. The Sexual Offences Act 1967 marked a turning point in the life of the UK and the consecutive few years witnessed to the birth of the LGB – only later LGBT – community with its initial struggles for further emancipation. The Church of England has been for years in a vacuum of pastoral guidance about ministry with homosexual men and women. Indeed, in 1974 the problem was so felt that the principals' of several theological colleges wrote to the Bishops asking for directions [cf. David Atkinson, "The Church of England and homosexuality" in Terry Brown (edit) (2006) 299]. A Working Party, chaired by the Bishop of Gloucester, was set up and Homosexual Relationships (Gloucester Report) became the Church of England's first official report about homosexuality. It was published in 1979 but it was never formally accepted by the General Synod. The recommendations expressed by its commission were essentially too liberal and weakly expressed arguing for acceptance on homosexual relationships [cf. Gloucester Report (sec. 168) (1979) 52] as a pastoral measure for lay people. However, the Gloucester Report upheld a firm distinction between homosexual laity and clergy. Men in Ordained Ministry where not allowed to enter in same gender relationships or advised to offer their resignation to their Bishop [cf. Ibid. (sec. 256) 77]. The Synod debates that followed did not fully consider the impact of such double standards and in 1987 settled for a view of homosexual act as 'falling short of the ideal'[Peter Coleman (1989) 171]. The persistent lack of clear guidelines from the Synod and the increasing urgency of pastoral work among gay people prompted some congregations to act in this unexplored field. Some of these churches have also responded to the willingness of the 1998 Lambeth Conference to 'to listen to the experience of homosexual persons' whilst disregarding the directive of item 'c' of the same resolution which forbade the blessing of same gender couples [cf. Resolution 1.10 of Lambeth 1998. 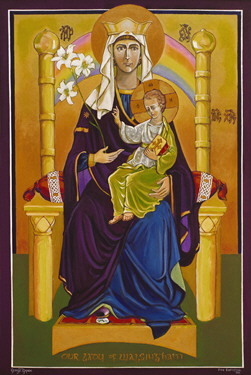 (http://www.lambethconference.org/resolutions/1998/1998-1-10.cfm)]. 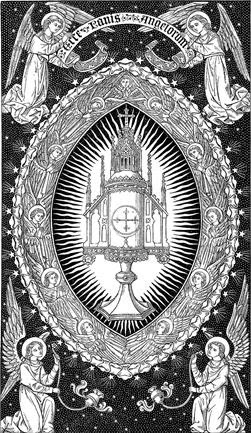 This essay will move on to consider the Evangelical prospective and the ministry of the Roman Catholic Church before turning the reader's attention towards a selection of churches and organisations that are working in the London area. Nevertheless, there is a side to Christian outreach amongst gay people that is extremely difficult to explore. It is performed by single individuals who stand alongside the LGBT community in its struggles and minister to it with their inclusive vision of Christianity. 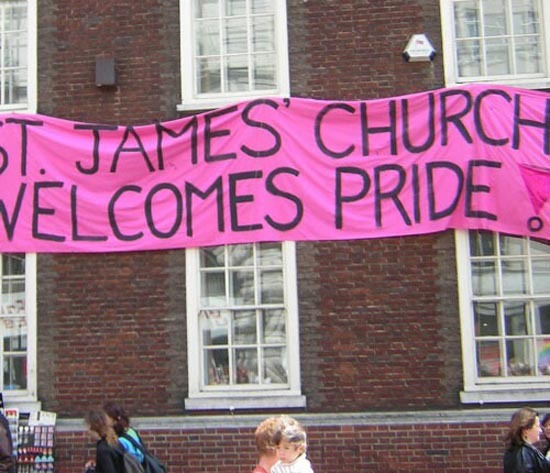 For instance, a significant group of Christians took part to the march in occasion of Pride London this year wearing badges saying: "Love drives away fear" (1 John 4:18) [cf. Jonathan Bartley, "Evangelicals are betraying their heritage", The Guardian, 7th July 2009].